Kayla started at Vrakas CPAs + Advisors as the firm’s first Marketing Coordinator in 2016 after graduating from the University of Wisconsin-Whitewater with her BBA in Marketing and Emphasis in Digital Marketing. Kayla is in-charge of coordinating all firm events, producing the bi-monthly newsletter, website updates and design, sponsorship and advertisements, and media releases. Kayla is also responsible for all of the firms social media platforms including Facebook, Twitter, Instagram, Google + and LinkedIn. 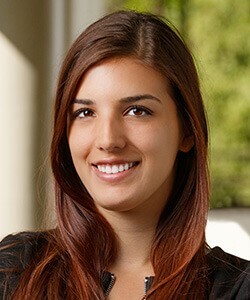 In addition to the work she does for the firm, Kayla also helps out with Vrakas CPAs affiliate company, Vrakas/Blum Computer Consulting, Inc., marketing efforts. She is in charge of planning the yearly User Conference event, website design and updates, and social media platforms Facebook, Twitter, LinkedIn and Snapchat.